Hello there you guys, I hope you had a great weekend and also good times last week because I took a break for sorting things and taking more courses. I haven't done a lot because everytime you want to get something done, another thing comes in the way and just change another path haha. This is life, but I still have time to get everything done this week though. It's funny because as bloggers and social media managers, we think that we have a weekend break from working, but then there are other things that we have to do which then takes us away from enjoying the weekend with friends and having fun. Especially, for those who still working alone building their brands and just want to grind all day every day to achieve their goals as fast as possible. 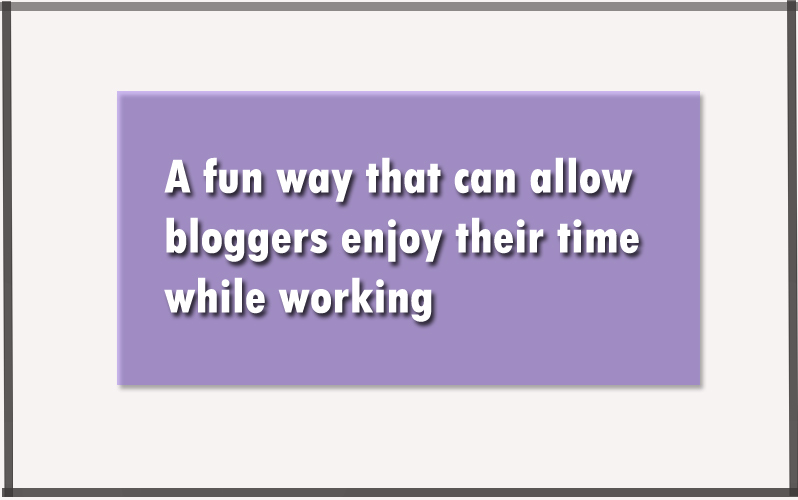 Today I would like to give you another perspective on how can bloggers enjoy their time when working and writing posts. This is something I've been doing for the couple past months, and I'm not sure if you are doing it, but if you do, that's nice which makes me feel that I'm not alone in this planet because I love to do what I enjoy and also enjoy it more while doing it if that makes sense haha. You know, sometimes having fun while working make you love it more, and it's one of the signs that shows that you are really enjoying it which means, eventually, this will make you be successful in whatever is it. Also, laughing during the time when your work is really good for our health and help the mind to produce more awesome quality. This is just a general theory I wanted to mention that support what I'm talking about, you know haha. Anyways, I love to start the post with good vibes and funny things, you know, but that is not what we are talking about in this post. 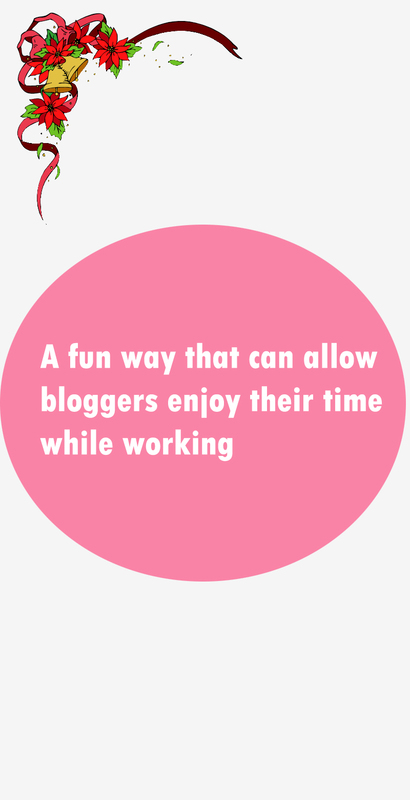 As I said earlier in the paragraph above that I will be talking about how can writing can be fun for bloggers by mentioning something that I've been doing myself and I think this will be fun unless people would love to take writing seriously and need to finish a post so quick because in this case, this won't be an option to consider. This can be for any writers whether bloggers or just someone who love to write stories or anything. Also, I would like to remind you to make sure to not be so serious when reading this post or any recent post that I wrote in this blog because we are here for entertainment and talk about the fun and funny side of life, hope you enjoy it, smile!. I said this before and I'm going to say once again right now because it kinda needed to be mentioned in this post haha. Anyways, when I write any post, I like to read it a little bit out loud as I'm writing it. This has been my thing for almost the start of my journey as a blogger, but sometimes I don't do it though. However, I feel it more entertaining when reading it out loud as I'm writing because this way I feel like I'm talking to the audience, you know. I would love to know if any of you out there do the same as me because we need to be friends at this point haha. What I want to talk about is something I call it 'the lyrics of a blog post' which playing background music with low volume while writing which makes you sound like you are singing it haha. This is a really nice way to both write whatever you in your mind and practice to improve the voice because the more you sing, the better your voice will be. Sometimes while I'm writing I Listen to motivational music and it kinda gives the energy to write more, you know, I think this would be as the energy drinks, but for bloggers in my opinion haha. Sometimes I just listen to music while writing the post silently and use my imagination in between paragraphs because that way it helps me to avoid writer block which keeps me away from struggling to finish the post, you know. This is kinda weird, but I also use this break think of words to write them about whatever I want the paragraph to be about haha. As soon as I get the right start, then everything will be easy to write. There is a lot this method can help, haha, you know because it can be a way to help keep the focus at whatever you are writing, sometimes when getting the writer block, I get stuck and then bored which going to be a reason that doesn't allow me to finish it at the time I start. I think one of the things bloggers are looking for when writing is the number of words and how much it has been written. However, for those who keep tracking before finishing the post is going to change and let you forget about that and then notice after a while that you have written more than you expected because when the fun is part of it, you won't pay attention to it as much as without having fun. I would say this is more like in real life when we focus more on time and how many hours passed that would feel like its so long, but when enjoying and having fun, you won't even feel it at all which of course we have gone through haha. Alright, I don't know how I'm good at matching moments in real life and as a blogger, haha, but anyways, I hope you enjoyed reading this post or got something useful if you are one of those who loves to write whether a blog post or stories because for me, when writing stories it will be the best that way you get to enjoy music and use imagination to draw it which is more fun. If you enjoyed reading and somehow this post made you smile, subscribe to my blog through the email subscription below to get more posts like this and even better, I would appreciate your support a lot if you would do that! First of all, I think it’s important to blog BECAUSE you love it above all else (since it’s too much work to stay consistent if you don’t). Secondly, I do believe in eking our all the joy I can out of every day, so if it takes singing blog post text to get you there, then so be it. (By the way, my way of enjoying it all more is to play a game with myself to get the things that I don’t like doing as much by setting 45 minute timers as I work. I reward myself with a creative break when I can get things completed in a smaller chunk of time than allotted. Not only do I take a necessary tea and walk break every hour, but if I get my 5 weekly must do items done before Friday, I will spend Fridays doing completely fun things like redesigning a logo or writing song lyrics or going down a rabbit hole researching something fun but still business related.) life is short, have some fun while you work. that's wisdom of words. Exactly, there is no need to rush and get stressed while working and everything. Thank you for reading and commenting :). You are awesome! This reminds me of how often I have to tell my daughter let's not be so hung up on what is coming after we finish one thing. Let's just enjoy the activities we are doing NOW. There was so much more to this blog post, but that is what stood out for me. I loved it. True, that's nice. Thank you so much :) I'm glad to know that. I always listen to music when I write a blog post or even when I am working on engagement threads. It helps me to get to stay on track。Breaks also help to stay on track too. I love to listen to music while I work. It makes the time fly and it keeps me in the right mood! I almost always have music going while I am working on my blog. Usually it's instrumental movie music (such as the Harry Potter soundtrack) because if I have music with words I will start typing what I hear! Haha, that's true. Also, it will be a reason to get your attention away from what you want to write lol. I do listen to music when I blog but not all the time. What I recommend and do is find a comfortable place with a solid work area so you can write and use the computer easily. HUGE fan of music coming through my headphones while I write. I'm partial to trip hop mixes from Six! Music and Confused Byproduct of a Misinformed Culture - there's enough variety that I don't get bored, and enough chill to let my brain do its thing. For me I prefer quiet when I write my blog posts. Not to be serious, but for similar reasons to you. I write stream of consciousness and then read aloud what I've wrote. if it sounds like me, authentic then I publish it. I infuse humor and personality a lot in my posts too! This came just in time. I feel so overwhelming lately regarding blogging and social media and hearing that the whole thing can be fun is really helpful. This is definitely something I do my own way! having fun while working is essential to me!